Farnborough International is part of ADS Group. This pioneering team of industry experts deliver world-class, innovative events in a competitive global market. 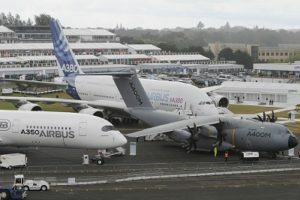 Its Airshow business organises the world famous Farnborough International Airshow and provides aerospace trade show consultancy services to governments and other trade bodies. As well as event organisers, Farnborough International’s Exhibition and Conference Centre hosts a variety of business events. Farnborough International headquarters are located at TAG Farnborough Airport. Farnborough International Airshow is a leading global trade show for the international aerospace industry. Taking place every two years, the event attracts over 1,500 exhibitors from 50 countries, over 100 aircraft in both the static and flying displays and over 70,000 trade visits over the five-day trade show. For visitors and exhibitors alike, Farnborough International Airshow offers a targeted platform to do business. Over the past few shows, the show has developed to offer more targeted content including sector-specific zones, Meet the Buyer programme, military and commercial delegations programmes and a conference programme. The next show will take place from 16 – 22 July 2018. Farnborough International Exhibition & Conference Centre hosts a variety of events for the business-to-business community including exhibitions such as Security & Policing and Southern Manufacturing, annual general meetings, corporate functions and product launches. The construction of its new permanent 20,000sqm exhibition and conference facility is due for completion in early 2018 and will comprise 12,500sqm of exhibition space over three halls plus additional flexible conference, meeting and function rooms. It will be suitable for just about any kind of event. The venue also offers a further 3,000sqm of event space in its Hall 5 structure, plus on-site parking for up to 3,500 cars, excellent transportation links and plenty of hotel accommodation nearby. 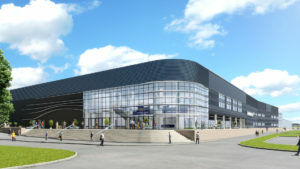 Farnborough International’s reputation for hosting a world-class trade show with expertise in organising flying displays has made the business a sought-after commodity by other trade bodies and foreign governments. 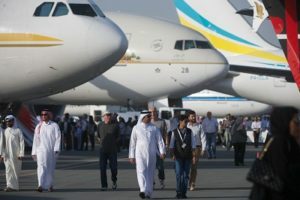 Since 2009, Farnborough International has worked with the Ministry of Transportation and Telecommunications, the Kingdom of Bahrain to help organise the Bahrain International Airshow. Farnborough International has also worked with FICCI in supporting the sales efforts for India Aviation and is currently working with EUPIC to develop an event in China. FINN (Farnborough International News Network) is an independent digital media channel created with the aerospace industry in mind. Its aim is to create a ‘one-stop’ digital hub for the aviation community to access insight, analysis and opinion from industry leaders and influencers. Covering airshows and aviation events across the globe, Farnborough International Airshow 2018 will see the launch of ‘FINN LIVE,’ broadcasting up to the minute news and commentary from the show across our site-wide large screen network. It will also be hosting ‘FINN Sessions’ which will be a series of conferences and panel sessions from keynote speakers on topics affecting the industry.